As accounting and finance professionals, you do so much more than just handle money matters – you’re also critical for creating strategy and driving process improvements across the entire organization. But if the majority of your days are spent manually reconciling accounts and matching transactions, little time is left for these bigger picture activities. What if you could be more productive with fewer resources, less overtime, and also easily improve the quality of your work? Not only would you be pleased with this improvement, but it would set you apart in the industry. Your accounting and finance professionals are at the heart of your organization’s innovation, and crucial to driving strategy and future business growth. But according to a recent BlackLine survey conducted by Censuswide, many mid-sized and large company decision-makers are not fully leveraging this talent. Manual processes and tedious tasks take up too much time and result in this invaluable skillset being widely underutilized. To unlock the value of your people, begin by automating the manual accounting work that consumes so much of accountants’ time and effort. This enables everyday accountants can become exceptional accountants, providing high-value services in areas like fraud detection, compliance, data analytics, technology, and business advice. When you are only researching the anomalies, you can finally refocus on providing strategic guidance to the business, such as improving internal processes or finding cost-saving opportunities. In other words, the added time allows you to apply not just your knowledge and expertise, but your nuanced creativity and intelligence as well. So, what does the exceptional accountant of tomorrow need to cultivate today? Think mastering communication, not macros. Strategic aptitude, instead of being spreadsheet savvy. In short, capabilities that enable you to deliver predictive insights to leadership, drive data-based decisions and provide expert counsel. These six skills work in unison to serve as building blocks to Exceptional Accountant status. For the finance function, providing leadership with historical data used to be quite sufficient. Yet today, companies also expect to have access to predictive data. For today’s accountants, this requires knowing how to turn Big Data into concise, decision-driving insights. Vanguard businesses are already hiring accountant/data scientists. Accountants looking toward the future must have both a theoretical and practical understanding of data and analytics. It’s said ad nauseam: it’s the Age of Information. Yet all this information is just noise if it’s not shared effectively. The exceptional accountant of tomorrow won’t just know why data looks like it does (analytical skills); she’ll also be able to skillfully convey those insights to others. Accountants must begin to cultivate strong written communication skills: the ability to think critically and translate those thoughts into compelling documents. They will also need strong oral communication skills: the ability to convey pertinent financial information to executive teams and stakeholders. During the “good ‘ol days,” an accountant could hide in the back office, subsisting on a few basic greetings at the legendary water cooler. Yet thriving in tomorrow’s business is going to take more than water cooler-level conversational skills. As automation streamlines transactional tasks, accountants won’t have the “millions of transactions to match” excuse to sidestep human interaction. The exceptional accountant of the future will know how to manage numbers and people. That requires cultivating a broader range of relationship skills today, such as how to work in a team, how to motivate and engage employees, and how to deliver bad news — without making somebody cry. Accountants who can combine creativity with a deep understanding of the company’s financial capabilities will be able to solve complex financial—and non-financial—problems faster and more cost-effectively. 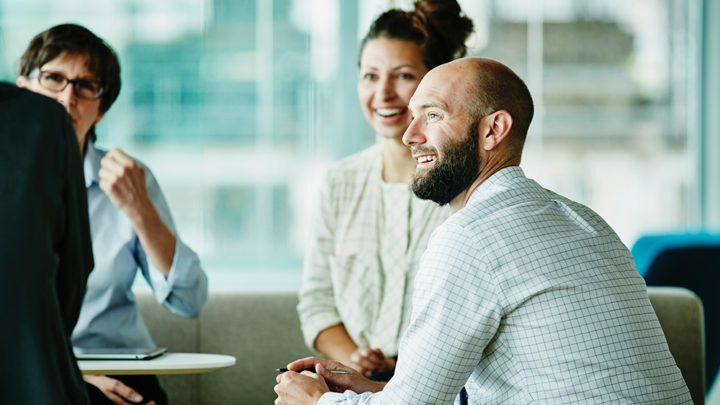 When accountants have the opportunity for stretch assignments, cross-training, and job-sharing, it’s easier to understand—and make decisions based upon—the holistic interplay between a company’s services, employees, customers, and stakeholders. Technology isn’t just changing every job function; technology itself changes rapidly. Instead of expecting to use the same tool for the next decade, accountants today must be ready to use new technology every year. This requires not just a basic understanding of technology itself, but the ongoing cultivation of flexibility and adaptability. Today more than ever, companies need finance and accounting professionals who are developing these six skills. Accountants who cultivate business acumen can begin to provide guidance relevant to the entire company, not just the finance department. Nurturing creativity leads to innovative solutions for some of the biggest challenges in business today, from the unexpected corner of accounting. Developing analytical capabilities ensures the accounting function can deliver true insight, not just historical information, while building communication and relationship skills guarantee those insights aren’t lost in translation. Finally, because technology will continue to change at light speed, accountants who not only have basic IT skills but also flexibility and adaptability will always be ready to integrate new, more efficient tools into existing processes. Read this ebook to learn how to cultivate the mad skills of an exceptional accountant and thrive during the robot uprising. Previous story Are Finance Departments Doing Enough to Protect Their Data?